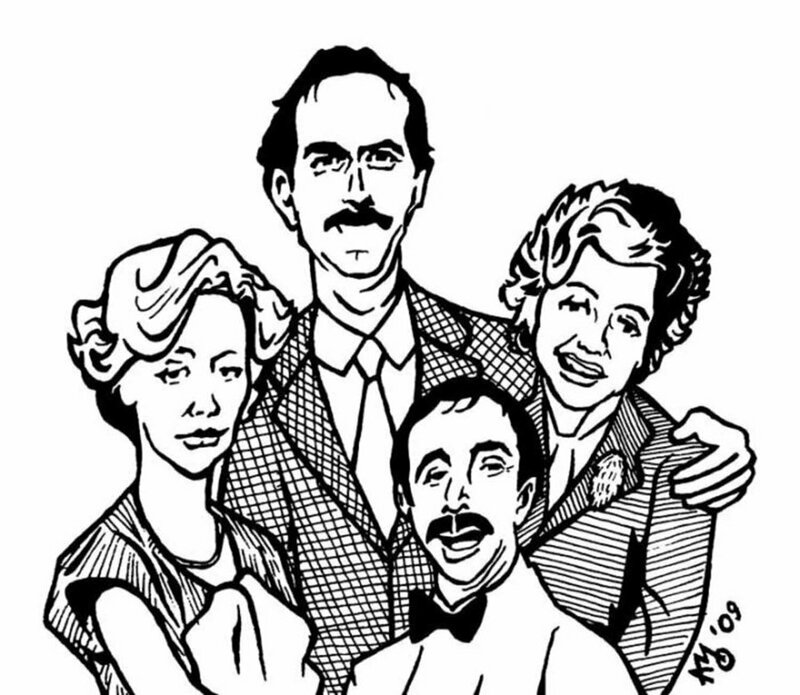 John Cleese and his Fawlty Towers family. By Glen K. Amo. Those of us who vainly dream that the progressive mainstream in Canada is gearing up to reassert itself in the real world of politics have had a few bits of bad news lately. The brilliant Monty Python and Fawlty Towers graduate, John Cleese, keen to sell tickets to his “Last Chance to See Me Before I Die” Canadian tour, has just claimed that Canada is “the sanest nation there is.” But that only shows how little he really knows about Canada, of course. Andrea Horwath nd Kathleen Wynne at the 125th anniversary dinner of the Toronto Board of Trade. (Tom Sandler For The Globe and Mail). Start with Ontario. Here some of we mere progressive-mainstream observers have been hoping that the current strange minority legislature will force the Wynne Liberals and the Horwath New Democrats to co-operate in spite of themselves (as in the provincial budget this past spring, etc). And then we have been further hoping (as Ontarians sometimes do) that some of this grudging “united progressive front” habit in Canada’s most populous province will spill over into Ottawa, in some kind of time for the next federal election in 2015. 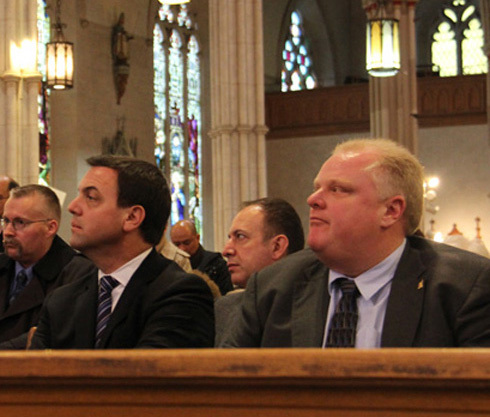 Tim Hudak and Rob Ford at St. Michael's Cathedral in Toronto, celebrating Archbishop Thomas Collins’ promotion to Cardinal, February 29, 2012. JAYME POISSON/TORONTO STAR. 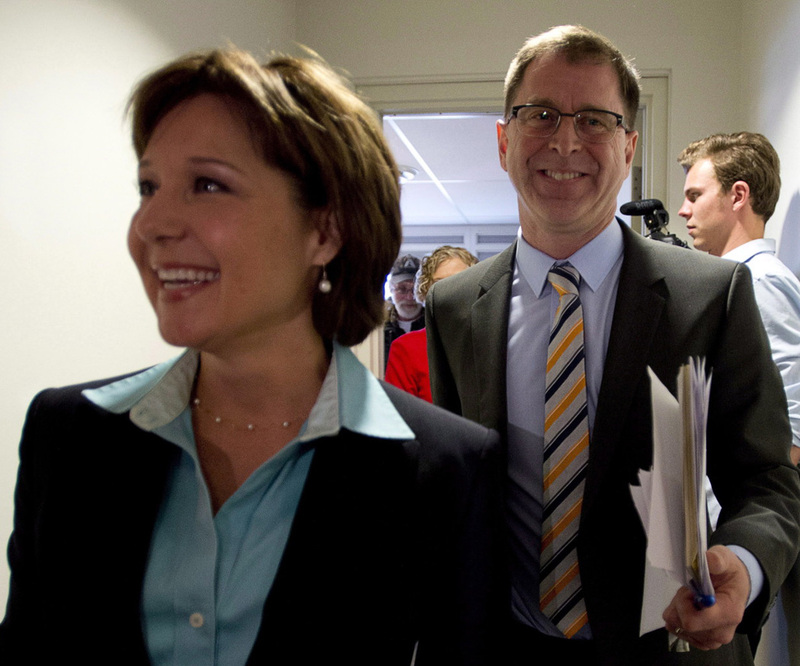 Christy Clark (Liberal) and Adrian Dix (New Democrat) on the campaign trail this past spring — in a BC election that was the New Democrats to lose and, to the surprise of pollsters and almost everyone else, they did. Canadian Press. 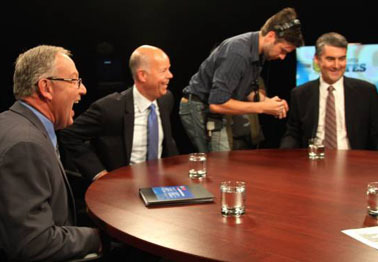 Three, three the rivals in 2015 federal election — l to r: Justin Trudeau (Liberal), Stephen Harper (Conservative), and Thomas Mulcair (New Democrat). 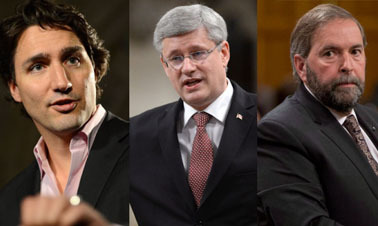 Will Harper finally prove just another rose between two thorns, aimed at each other? The biggest burden here, as highlighted by Ms Hébert, is that Liberal-NDP misadventures in both BC and Ontario will inevitably spill over into federal politics. 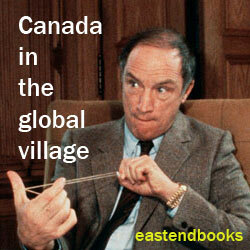 M. Mulcair will be taking more cutthroat approaches to M.Trudeau. (And vice versa.) And in the very end Stephen Harper just might wind up with at least yet another Conservative minority government in Ottawa.